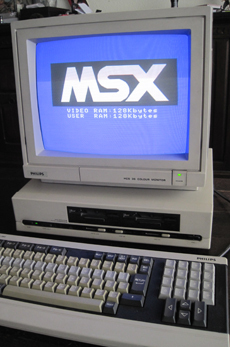 After e-mail correspondence back and forth, I came in possession of a special MSX2 in April 2013. 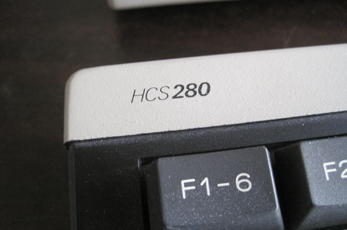 No type printed on the computer itself, but as you can see the keyboard shows we are dealing with a Philips HCS 280. According the man from Eindhoven which this white (!) NMS 8280/00 comes from, this type was conceived fot the international market. He could not tell me if this was a prototype or if there had been multiple production of this machine. This computer is very special. I hadnever seen one before. Also no information about it on the internet. 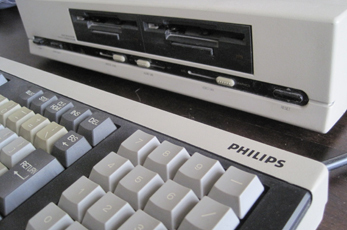 A colleague MSX enthusiast and collector he had seen a photograph showing hunderds of type computers like this stocked in a warehouse, but this was 20 years ago. Like I do, you can ask yourself; Where are these computers?? For now I know: There is at least one and it's in my collection!